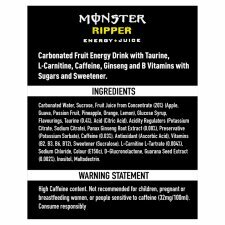 Carbonated Fruit Energy Drink with Taurine, L-Carnitine, Caffeine, Ginseng and B Vitamins with Sugars and Sweetener. 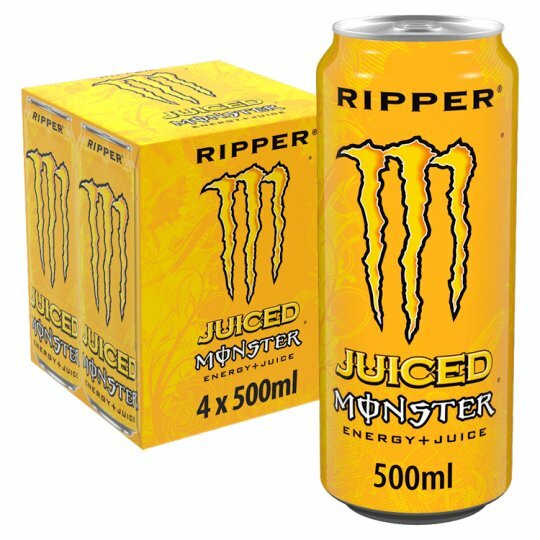 The Juice is Loose… We started with a killer combo of tropical juices, added in some famous Monster flavour, then souped it up with a full load of our original Monster Energy blend. 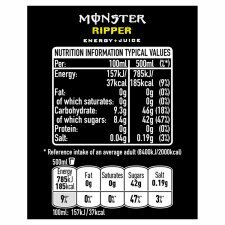 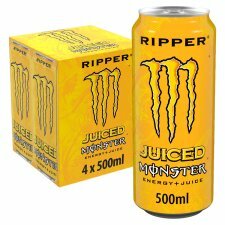 20% Juice - 100% Monster!